Great image, colors and love the beautiful light! Nice backlight to show up the internal leaf structure! 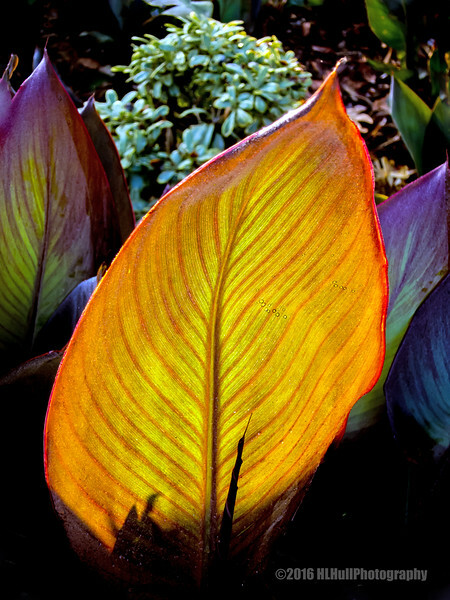 Gorgeous light through the canna leaf! Outstanding capture of the light and canna. The colors in these leaves are wonderful--the light coming through is very special.